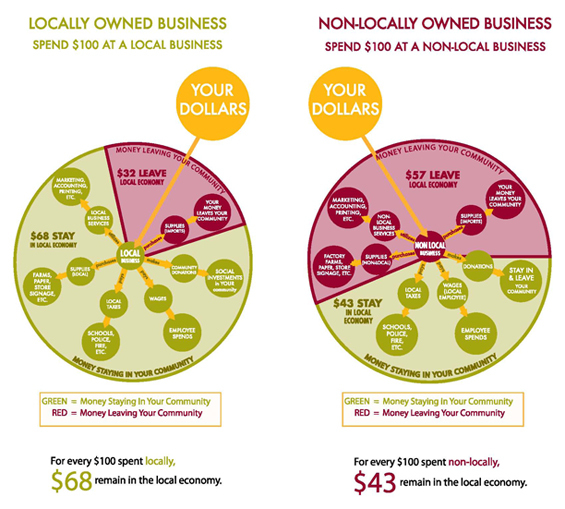 What does it mean to "Be Local?" It means connecting with the place you call home. Your choices make a difference in our city and region. Even small decisions — where you eat, shop and live, what you throw away, where you spend your free time — affect the health of our community. Shopping at independent retailers, visiting farmers’ markets, and being conscious of your impact on the environment can all help make Buffalo vibrant and beautiful. In the pages that follow, we outline dozens of easy ways you can make Buffalo a better place to live — and save money. Now that’s a deal. When you shop at businesses owned locally, more of your money will be re-spent in Buffalo, helping to build a vibrant local economy. Research in diverse areas across the country shows that shopping locally creates more local jobs and stimulates local economic activity. Buffalo First’s online directory is a great place to discover local products, organizations and businesses. Don’t be shy. Ask questions: “Is this an independently owned store?” “Does this restaurant buy food from local sources?” “Is this item created by a local artist?” Let businesses know that local matters. Companies respond to consumer preferences. You have the power to create change. This coupon book contains a wide variety of discounts for local theatre, local tours, film houses and art galleries. Take advantage of them and discover what make’s Buffalo’s culture unique. When you travel to another city, look for independent businesses by consulting a LOCAL FIRST network at your destination. When you buy products such as chocolate or coffee from other countries, look for fair trade labels that signify that a product has arrived in the United States through a process that emphasizes the well-being and rights of its producers. Buying fair trade goods helps to support local economies abroad. Make your money work for you — and for your community. Research in diverse areas across the country shows that shopping locally creates more local jobs and stimulates local economic activity. Avoiding plastic helps you and local, independent businesses avoid unnecessary fees. Local nonprofits reinvest your money in educating, employing, healing, housing feeding and entertaining people in your community. And your contributions are tax-deductible. Local institutions often invest their money in Buffalo instead of taking it out of state. Invest more in local financial institutions by trusting them with your loans. Become a member of a cooperative business to help ensure more of your money is invested locally. 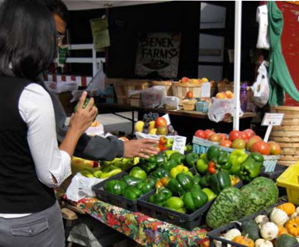 Area co-ops include the Lexington Cooperative Market on Elmwood Avenue (www.lexington.coop or 716.886.COOP) and the Buffalo Cooperative Federal Credit Union (www. coopcreditunion.com or 716.881.3767).